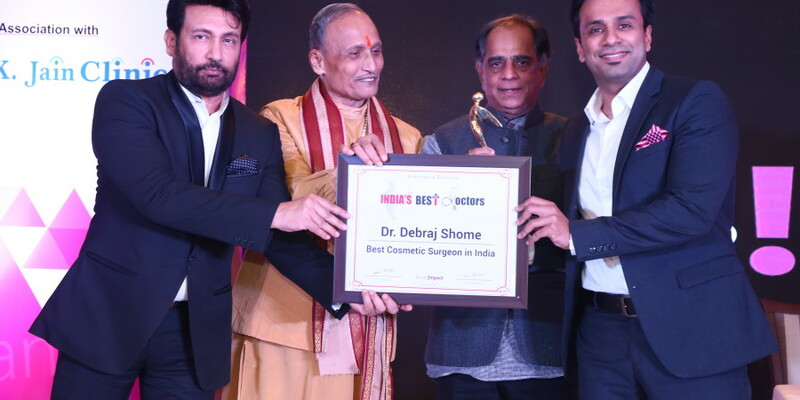 Mr. Shekhar Suman, Dr. Sanjay Singh, Sri Acharya Sudarshan ji Maharaj & Mr. Pahlaj Nihalani, presented this award, reinforcing Dr. Kapoor's standing as the best cosmetic surgeon in India. Dr. Debraj Shome has been awarded as the ‘Breakthrough innovator in Facial Plastic Surgery’ by Pharma Leaders, Asia's Most Analytical News Media in Healthcare Communications. 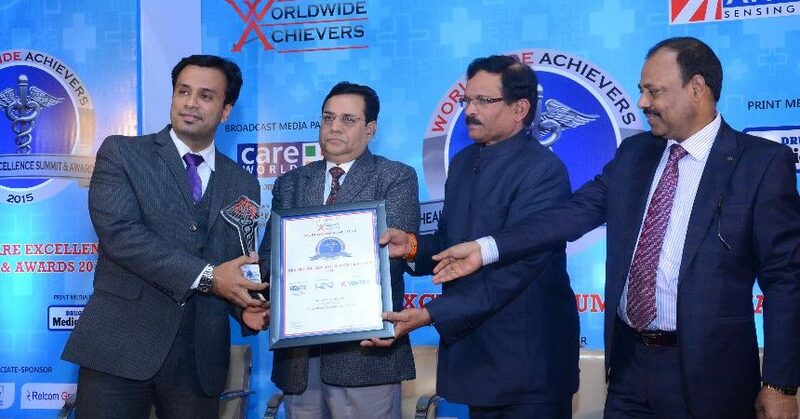 The award was presented in association with the Ministry of Health & Family Affairs & Department of Pharmaceuticals, Ministry of Chemicals & Fertilizers (Government of India), at the Pharma Leaders Power Brand Awards 2015 on December 30th 2015. 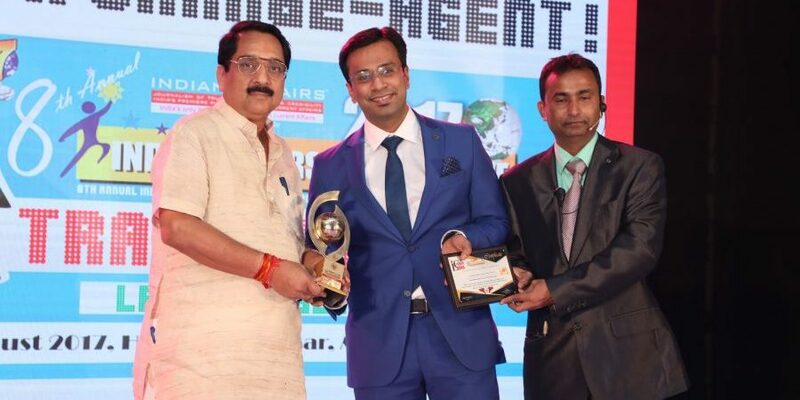 Dr. Debraj Shome was awarded as the 'Best Plastic Surgeon in India' for 2015, at the the hands of Shri Shripad Yesso Naik, Honourable Union Minister of Health & Family Welfare (Govt of India) & Dr. C P Thakur, MP & Former Union Govt of India Cabinet Minister, at the Healthcare Excellence Summit & Awards 2015, on 9th December 2015, at Hotel Radisson Blu, New Delhi. Dr. Debraj Shome was awarded with the prestigious Colonel Rangachari Award in 2010, for his path-breaking work on finding a new drug for childhood eye cancer treatment. The Colonel Rangachary Award is presented to the best research for the year. 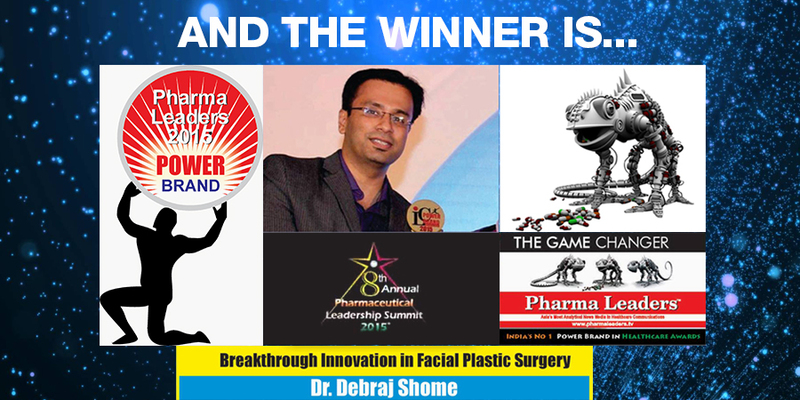 Dr. Debraj Shome was awarded the title “Most Promising Face in Plastic Surgery Innovations”, at the India Leadership Conclave, in September 2015, amidst an audience of esteemed panelists & industry experts. People who are very conscious about their looks leave no stone unturned to look their best all the time. Therefore, with increased awareness, people are moving ahead the use of cosmetics only and do not mind undergoing cosmetic and plastic surgery. In India only, the number of cosmetic surgeons and plastic surgeons has increased significantly in the last decade. 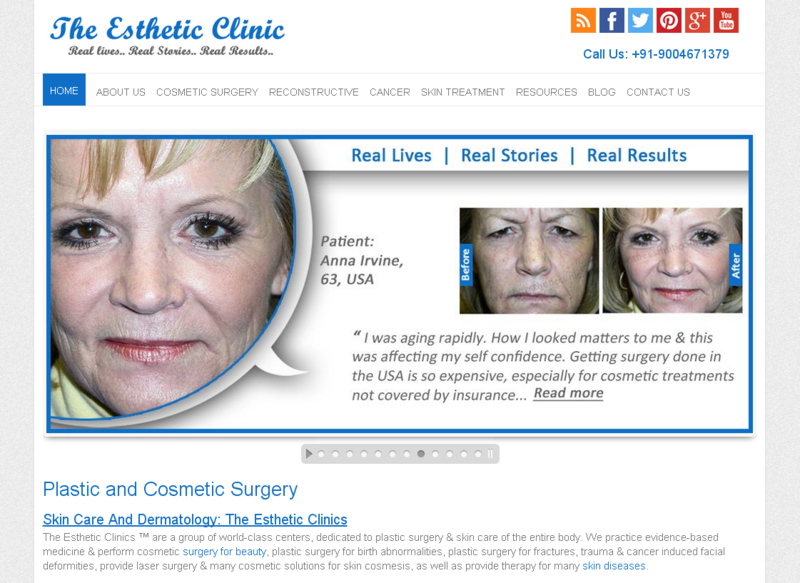 Cosmetic surgery in India is a specialty that is becoming popular increasingly. 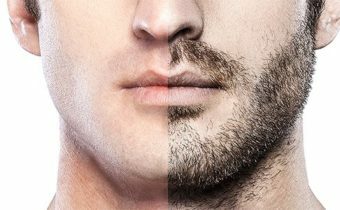 Cosmetic surgeons and plastic surgeons can dramatically improve a person’s appearance and can help a person achieve the ideal looks. In India, cosmetic surgery and plastic surgery is no longer a procedure which was done only on patient who had suffered trauma or was born with congenital defects. Now people undergo cosmetic surgery in India to enhance their looks and to look perfect. The best hospitals where plastic surgeons and cosmetic surgeons practice now offer services which can help the patients achieve the perfect features and contours. Some of the best hospitals in India which have the world renowned cosmetic surgeons and plastic surgeons, have the best options for cosmetic surgery in Mumbai. In India, cosmetic surgery is no longer considered to be only a “medical” requirement but is now considered to be an extension of normal parameters of beauty regimen. Despite the growing number of people undergoing cosmetic surgery in India, there are some points to be kept in mind while looking for cosmetic surgeons and plastic surgeons. One of the most important things to remember is to look for the best hospital for the cosmetic surgery which has a reputed team of plastic surgeons and cosmetic surgeons. In a city like Mumbai, cosmetic surgery is being performed in many hospitals, but only the best and the most reputed hospital should be chosen for the surgery. The surgeons chosen for the procedure should have valid credentials and good reputation. 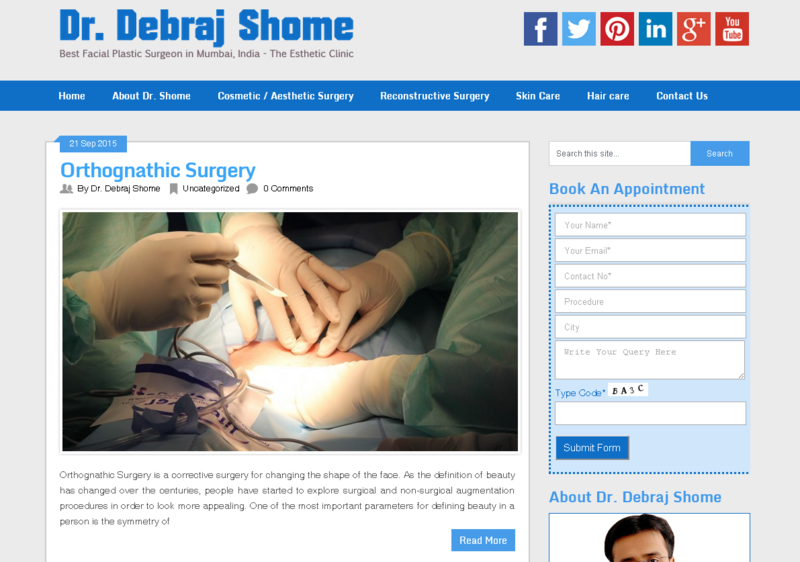 Dr. Debraj Shome is amongst the best plastic surgeons in India. Dr. Shome specialises in plastic and reconstructive surgery, cosmetic surgery, orthognathic surgery and oculoplastic surgery. Today, appearance means a lot and people are willing to pay money to make sure that their appearance is good. If nature has not bestowed a good appearance on an individual, she can very well look for ways and means to make sure that she fits into society’s ideal of beauty. Whether it is the professional world or personal life, appearance matters a lot. Getting ahead of work in today’s times often means that one has to look a certain way. And when it comes to personal life, happiness often depends on what kind of appearance a person has. No wonder that people are willing to visit the best plastic surgeon in Mumbai India, like Dr. Debraj Shome at The Esthetic Clinics, to get the appearance they have always wanted. Today, finding the best plastic cosmetic hospital in Mumbai India is not a taboo anymore as more and more people do it. The fact of the matter also remains that today, finding a plastic cosmetic surgeon in India is also way easier than it was in the previous decade. So how does one go about finding the plastic cosmetic surgeon in Mumbai? Here’s the help you will need. The first and foremost thing for you to do to find the best plastic cosmetic surgery hospital in Mumbai India is to make a list of two or three plastic and cosmetic surgery hospitals in India where such procedures are done. The next thing to do would be to set up interviews with these plastic cosmetic surgery hospitals in India. This will ensure that you take the time out to find whether or not these plastic surgery in India are board-certified because that is the only way you can make sure that you are in safe hands. Finding qualified facial plastic surgeons in India will not be a tough proposition if you set your mind to do it. You will also be able to find other speciality plastic surgery experts too if you look. It depends on what plastic procedure in Mumbai India you are thinking of getting done. Personal recommendations for plastic procedure in India can be great and they can really make your search for the plastic surgeon in Mumbai India easy. Always ask around among friends and relatives if they have got any plastic surgical procedure done and they will be able to direct you to a good plastic surgery hospital in Mumbai India. Also, it is a great idea to ask a friend for plastic surgical referral if you know she has got a procedure done and you love the results. It will ensure that you too can get similar results from the plastic procedure you get done. In your search for the best plastic surgeon in Mumbai India, don't be misled by tags such as ‘’the best’’ or something similar. The fact of the matter is that each plastic surgeon practicing this branch of surgery has a plastic specialty and if you can get the procedure done by someone who is a specialist at it, then it will certainly be a good thing. 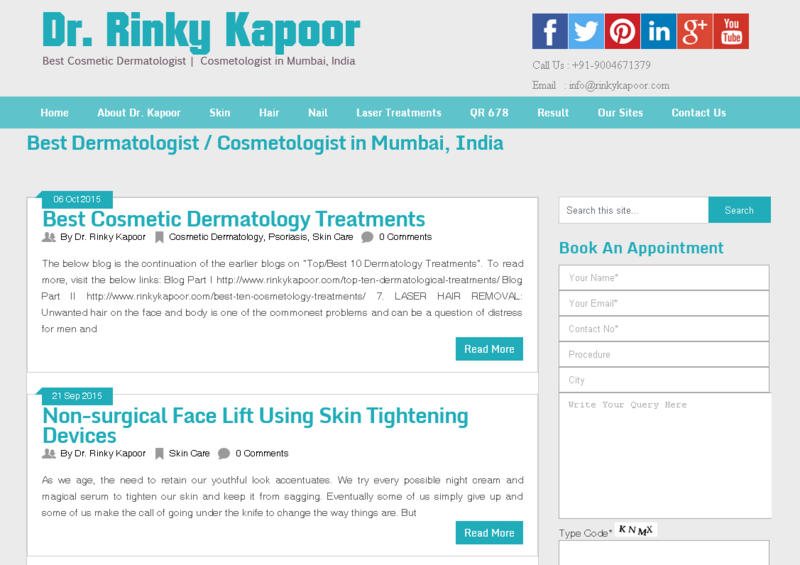 Does he have experience in the facial plastic surgery in Mumbai you need done? How much hands’ on plastic surgical experience does he have? 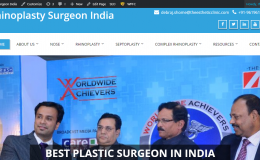 Where will the plastic procedure in India be performed? The best surgery hospital in India should have the right certifications and approvals and it is in your best interest to make sure that you get the procedure done in a similar place. The plastic surgeon in India you choose should not only have the know-how needed to perform the procedure, he should also be able to instil confidence in you so that you feel relaxed and at ease. This is a very aggressive skin cancer, grows very slowly and is more commonly found in the elderly population. The disease originates in the Meibomian gland, glands of Zeis, Sebaceous glands of the eyebrowscaruncle. Basal cell carcinoma is one of the many forms of skin cancer which starts in the basal cells—those cells that create new skin cells to replace the old ones. This skin cancer most of the time manifests as a waxy bump. Squamous cell carcinoma is a type of cancer of the skin. If detected early, this type of cancer does not cause much threat. Serious complications can result if squamous cell carcinoma is not diagnosed or treated early. The face-lift (rhytidectomy or facelifts or facelifting treatment or face lift surgery) is a cosmetic surgery treatment procedure, that causes the face to look much younger. Rhinoplasty surgery or nose job or nasal reshaping surgery or Nose Correction Surgery is the reconstructive plastic surgery done for nasal refinement or nose reshaping. 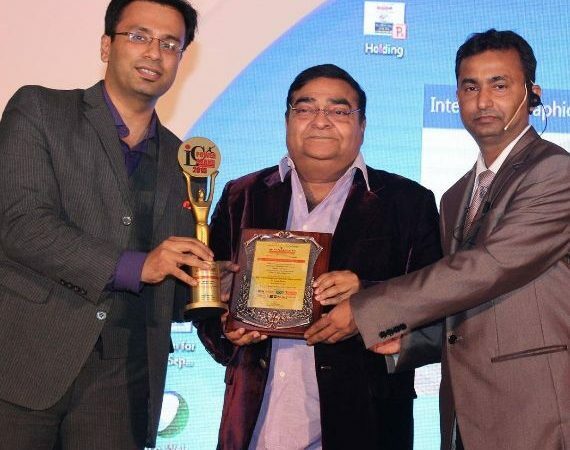 Want to Know About Dr. Debraj Shome Awards & Recognition?